The addiction that's good for you! 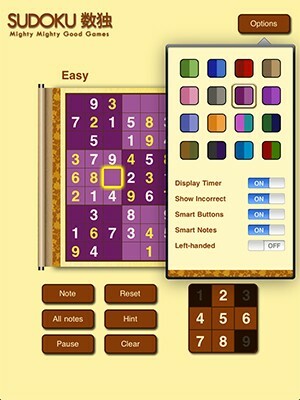 Sudoku HD brings puzzle solving enjoyment to the iPad! Challenge a Friend :: sends an email challenge to a friend so they can try to beat your best time. Tapping the Challenge link in the email automatically starts the game! Join over 16 million fans by downloading one of our top selling and top rated Sudoku games today! While some may consider gaming to be a complete waste of the iPhone’s usefulness, I beg to differ. What better way to relax your head than a little sudoku. 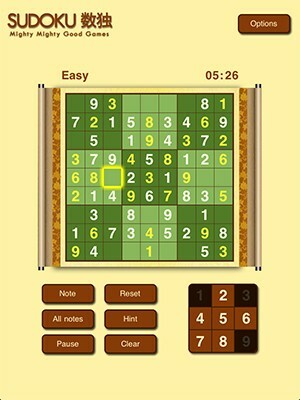 Plus, I’m a bit of a gamer… Sudoku by Mighty Mighty Good Games. My normal sudoku when I need a fix. 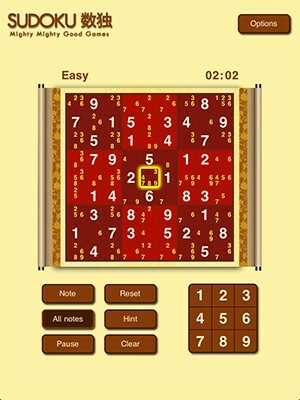 This game is great for anyone who just likes to sit back relax and play some sudoku. 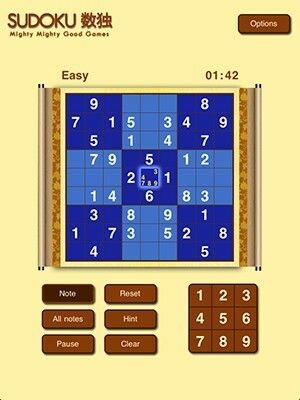 It is a definite download for those in need of a sudoku fix. Copyright © 2008-2019 Mighty Mighty Good Games. All Rights Reserved. Made in Texas.